I've had the hiccups now for roughly 8 hours now. 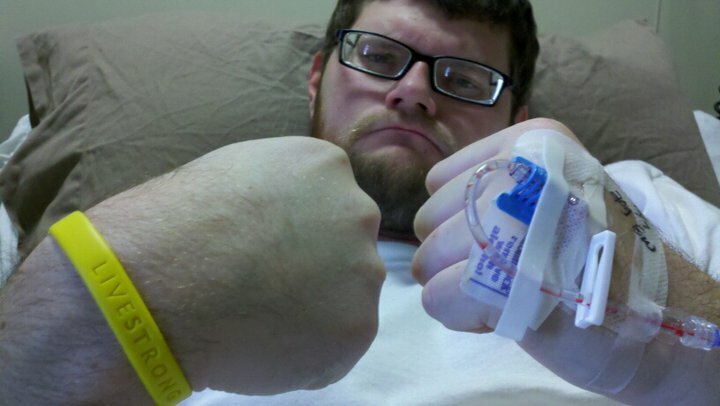 This happened the last time I went through chemo, but I forgot how much of a nuisance they really are. Today was a really good day overall though. I've been doing physical therapy on my ankle. I'm walking around the floor (about 6 laps) I am also on a stationary bike for about 35 minutes. Also, I have few exercises that I am required to do. I'm still going through my chemo right now, but my parents came to visit this morning. It was wonderful, as always. I haven't had any nausea today either. Well, this post is gonna be short and sweet because I can't keep my eyes open. I promise tomorrow wil be more informative and exciting!